This morning I'm handing over the reigns to Teresa, who is sharing her love of all things autumnal in today's post. Today I am guest writing for Gemma on her blog. I have followed Gem’s blog and Instagram feed for some time now and I am delighted to write a post for her, during what is one of my favourite months of the year. For those of you who don’t know me I am Teresa and have written a blog TCakes for a few years, which has evolved over time from predominately a crafting and baking blog, to one where I share snippets of my life; with regular posts on my life in London, my love of New York, favourite reads, and what has captured my attention that month. 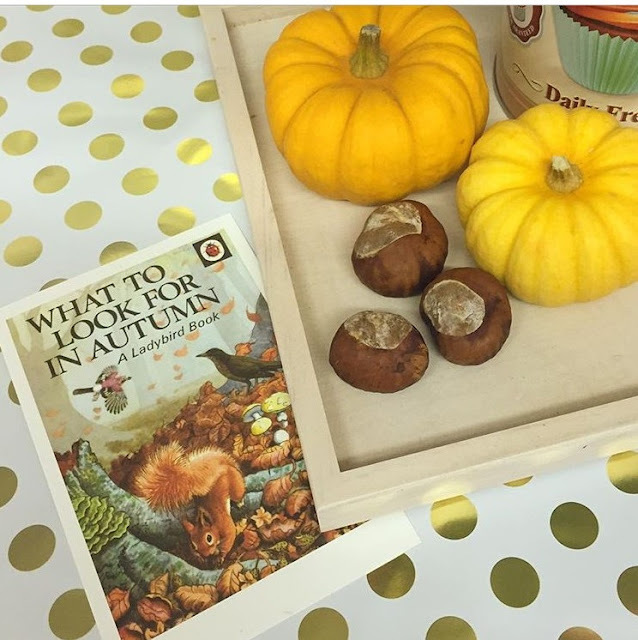 Gem's posts this month have a real autumnal feel to them, which has allowed me to share all my favourite things about October and Autumn before we tumble into winter when the clocks fall back at the weekend. Lots of people love Spring and the awakening of the flowers from their winter hibernation. For me Autumn is the equivalent of spring but for the leaves and trees as they turn from green to golden glows of yellows and reds. This year the colours have been spectacular and I have loved kicking my way through the fallen leaves as I walk and run through the park. 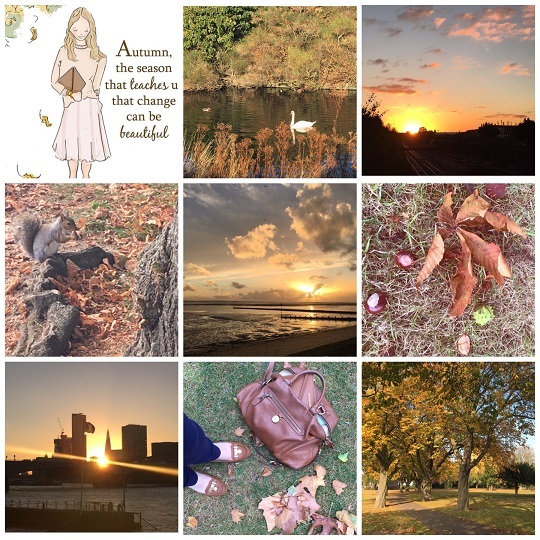 Every year I produce an Autumnal Bucket List which I try to complete during the end of September and October; this year we have been blessed with some gorgeous weather which has allowed me to soak up some gorgeous sunrise’s and sunsets through the city, at the seaside and in the park. 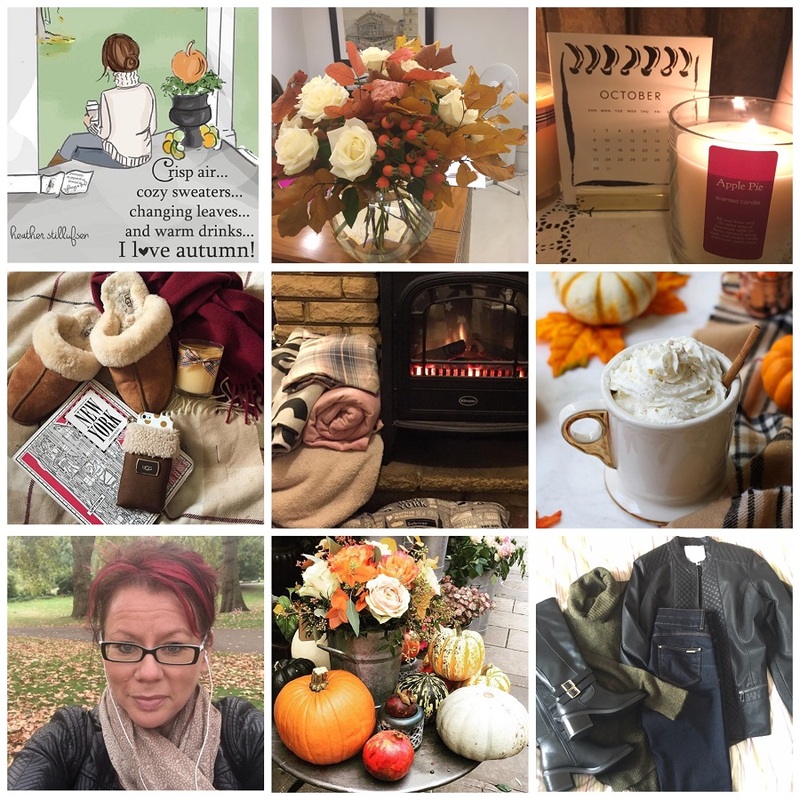 Autumn for me features Spice Lattes, Apples, Pumpkins, Cozy Sweaters, Candles, Ugg Slippers and Cashmere throw. My wardrobe switches into comfy boots, and a capsule wardrobe of browns, tans, greens and berry. Days are filled with gorgeous Sunrises and Sunsets, and park life is filled with Conkers, Squirrels, Swans and lots of crisp leaves. (perfect for kicking). So as we head towards November I am going to savour every minute left of Autumn before the days become a little darker and greyer and the festive season is truly upon us and I start compiling my Winter Bucket List. Thank you to Teresa for her post today. You can read more from her over on her blog TCakes.